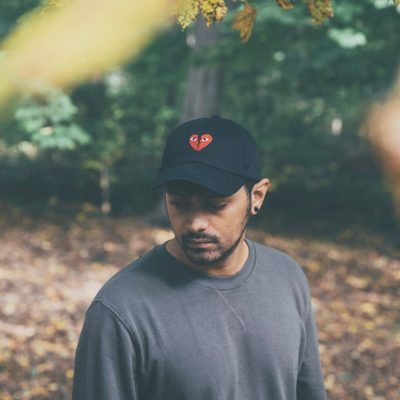 Jai Wolf’s first-ever studio album, “The Cure To Loneliness,” totally slaps. Released April 5, “The Cure of Loneliness” features Wolf’s signature electronic sound combined with alternative pop that we have come to know through his previous EPs. Wolf’s chill and relaxed vibes make his music perfect to listen to for any occasion. Whether at the gym, walking down Commonwealth Avenue on your way to class, hanging out with friends or even studying, his style fits any mood. Wolf curated his album beautifully. Each song flows and follows right into the next one. His songs usually begin with mellow beats, setting a harmonious melody and then slowly building up to an electronic climax. In a way, the songs are created like perfect stories with a beginning, middle and end. I first fell in love with Wolf’s music when I heard his hit song “Indian Summer.” This song truly put him on the map. Since this release, whenever Wolf puts out a new single, he continues elevate my expectations. “Intro” opens “The Cure To Loneliness” and is just 40 seconds long. It’s the perfect way to set the tone for the rest of the album. It begins slow and builds, only to introduce beats and voices in the last 10 seconds. This makes a perfect transition for his next song “Lose My Mind,” which is more upbeat. Wolf has a similar sound to musicians like The 1975, The Killers and Porter Robinson, with his undertones and influences of ‘80s electronic music. But Wolf maintains his own identifiable style — his melodies are his signature. Wolf’s music is made to dance and bob your head to its rhythm. You can slowly feel the song grow on you and travel through your body as it develops. His use of vocals, intertwined with his electronic beat, is magnificent. In each song, you can hear how Wolf gradually develops different levels of sound. Each layer elevates the music to richer and fuller beats. Wolf’s “Still Sleeping” creates a vibe similar to indie-pop singer Lorde. The lyrics describe a young woman’s relationship. The uncredited feminine voice on the track compliments the emotions embedded within the music. “Manic Pixie Dream” presents a change of pace within the album. The song begins with a soft guitar and slowly overlayers the sound with electronic music and edited vocals. It soon transitions as the beat drops and picks up halfway. This transition is commonly heard throughout his music. Not all of the album’s songs have lyrics. The ones that do share the theme of a failing love: whether it is a struggling relationship, a broken heart or fighting for that special someone. Wolf seems to use this theme to relate to his audience since love and its struggles are relatable to nearly everyone. Wolf concludes “The Cure to Loneliness” with “Around The World.” The only lyrics featured in the song are, “I thought I’d be halfway around the world with you / Halfway around the world / I wanna be halfway around the world with you,” which gets repeated over and over again. This was the best song of the album. It has everything — it triggers your emotions, it features a melodious female voice to open the song, followed by a choir, and it finishes with an electronic piano. “Around The World” is a perfect juxtaposition to “Intro.” “Intro” is upset with drums and guitar, while the album’s finale song concludes with gentle piano. “The Cure to Loneliness” is fantastic. It truly depicts Wolf’s talent. The album’s title compliments its theme of difficult love perfectly, and listeners are able to see more of Wolf’s vulnerable side. Through all of this, Wolf manages to maintain strong, positive vibes. After listening to this album three times on repeat, I desperately looked for upcoming Jai Wolf concerts in the area. If the album is this fantastic, his live performance would surely be beyond amazing. “The Cure to Loneliness” is now permanently added to my music playlist — every single track on it.